Last Monday I had a day off work so I decided to do some book hunting. First I met with Jenny, a stall holder from The Mountain Of Books Bookfair which was held a few weeks ago. 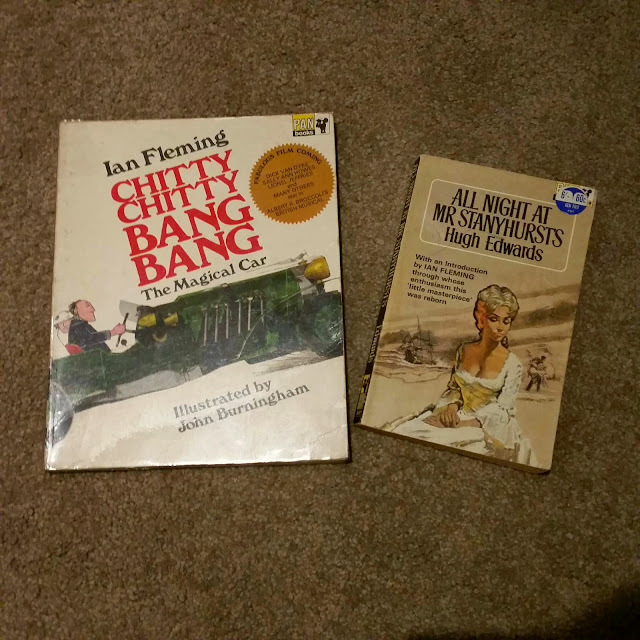 We organised to meet at a local shopping centre where she sold me two Ian Fleming related paperbacks - "Chitty Chitty Bang Bang" from 1968 and "All Night At Mr Stanyhursts" from 1965 both published by Pan Books. 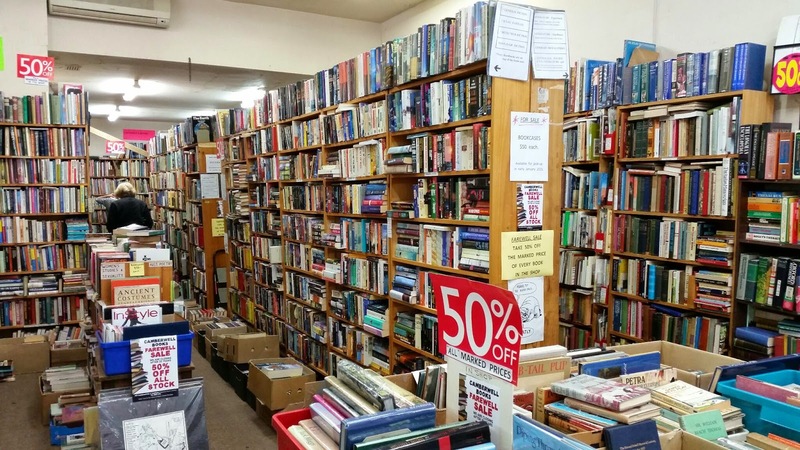 Next I visited a few second-hand stores. 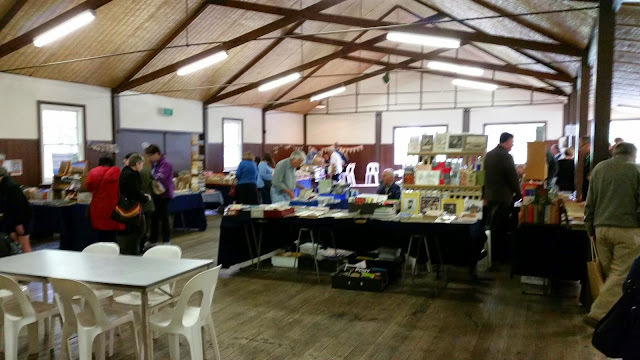 The first was as a result of a visit to the South Melbourne Market a couple of Sundays ago. 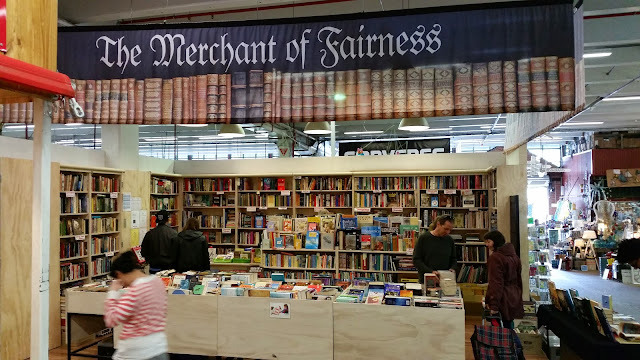 "The Merchant Of Fairness" has a large stall there and this time I found a few Bonds on the shelf. 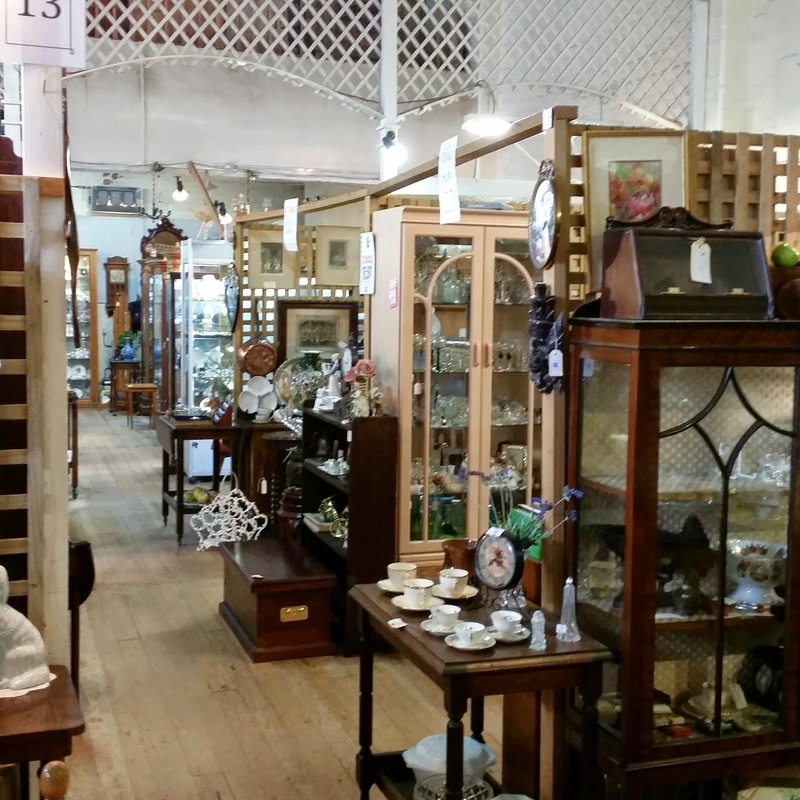 They also had a second-hand store in Balwyn which closed a few years ago. But after speaking to the stall holder at the market it appears they have another store which has been open for almost two years now. 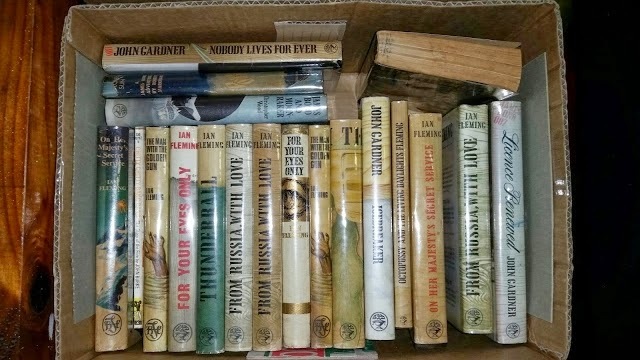 Little did I know. So this Monday I paid the store a visit... and it was closed ! 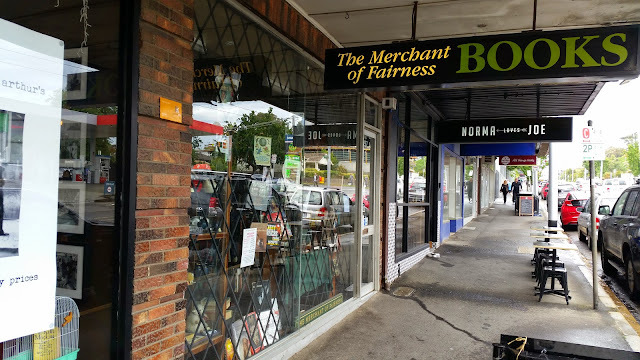 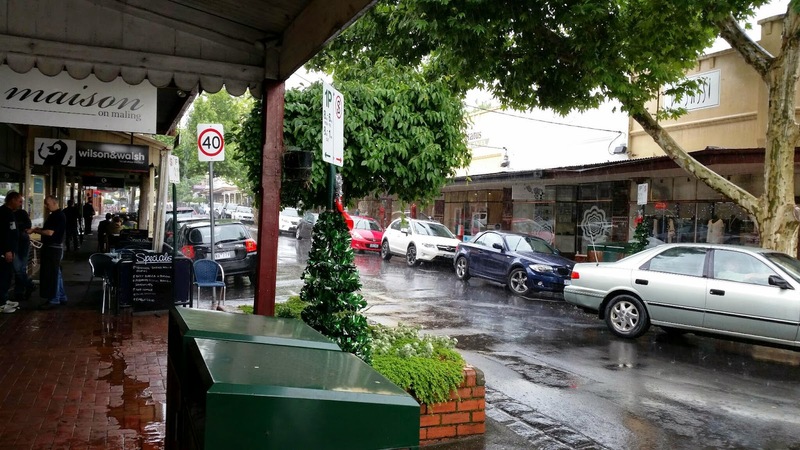 - The Merchant Of Fairness - Balwyn (second hand) - This store is located just near the Balwyn Cinema. 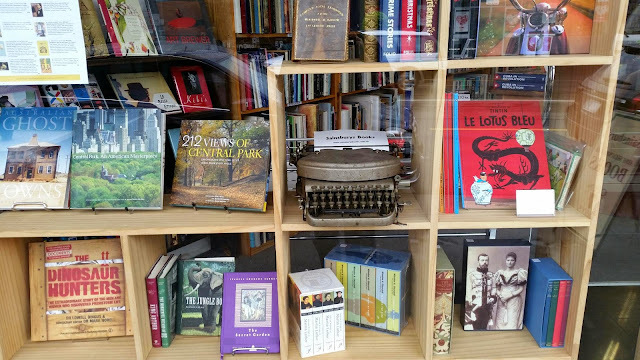 I managed to grab a snap through the shop front window and can't wait to visit it again... when it's open. 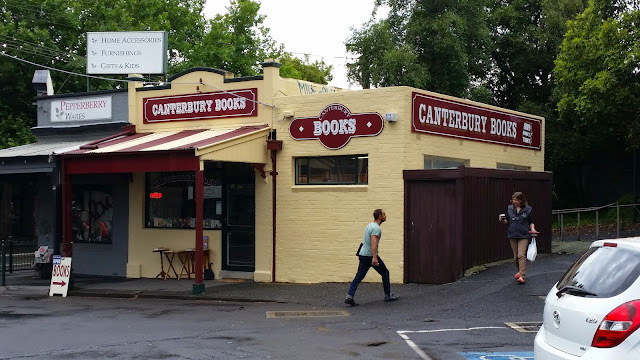 - Canterbury Books (second-hand) - This store has been around for ever. 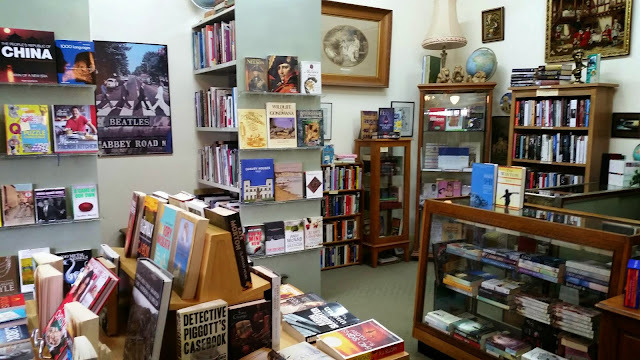 A great store to visit with a very friendly owner behind the counter. 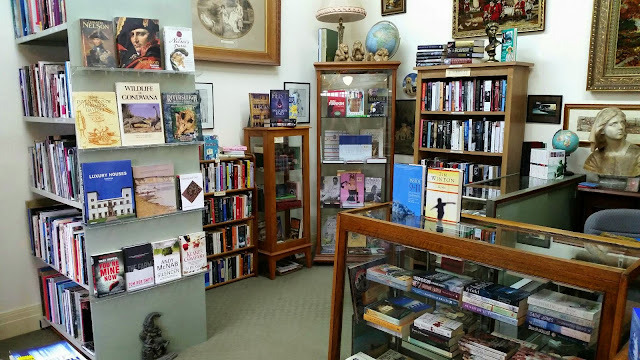 She allowed me to take a few photos of her store as you can see above although I didn't take one of the four Bonds books on the shelf. But as you can see there's plenty of other books on the well organised shelves. - Mailing Road Shops (antique goods and books) -I couldn't find any Bond books today although that's not saying there weren't any on the shelves. 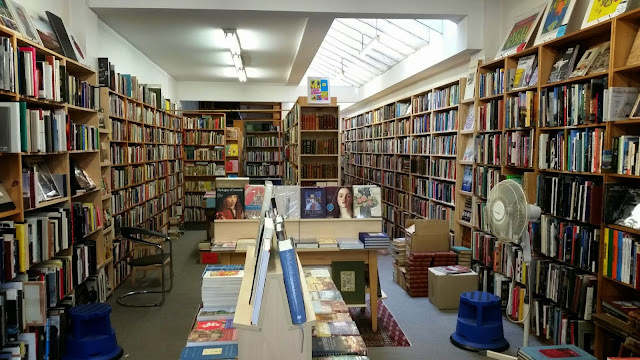 - Bradstreet's Books (second hand) - Ok, I picked the wrong day of the week to go book hunting. This store was closed too. 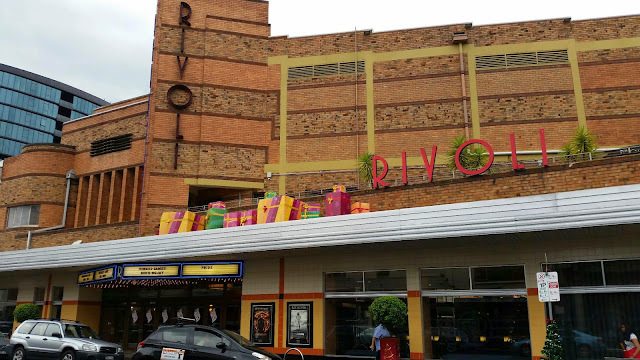 A recent newspaper article mentioned that this building could be redeveloped in a couple of years and this store closed. 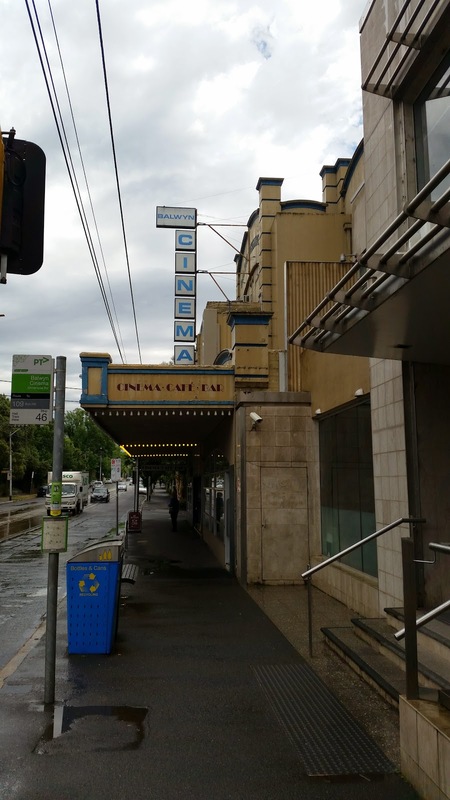 Let's hope not. There were plenty of students hanging around at the cafe next door grabbing a bite, chatting and listening to the music. 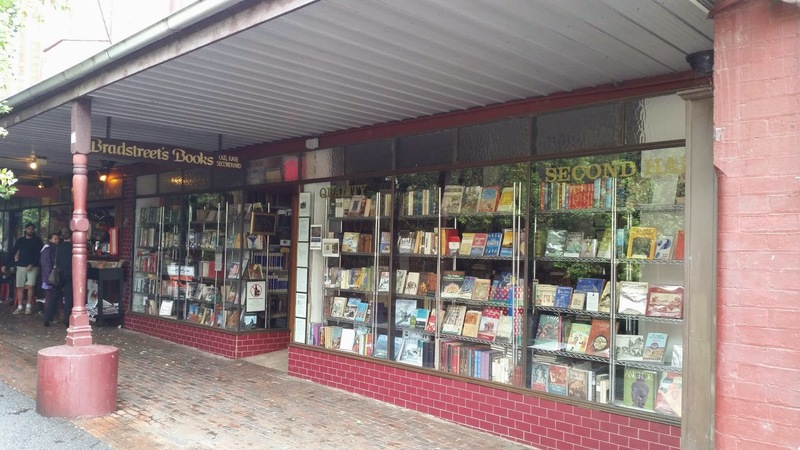 It's a perfect location for a great book store like this one. 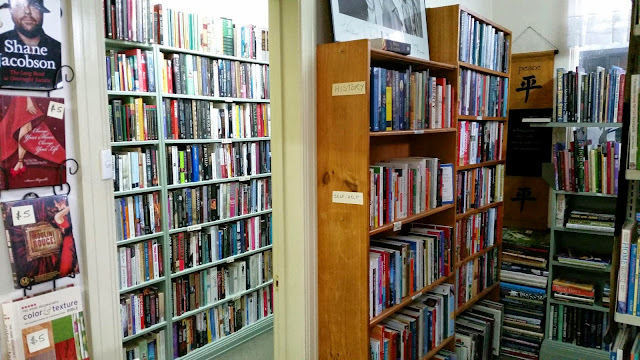 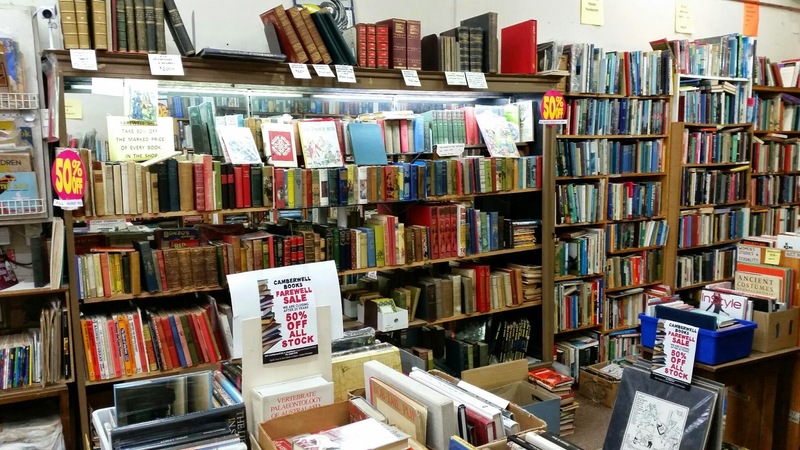 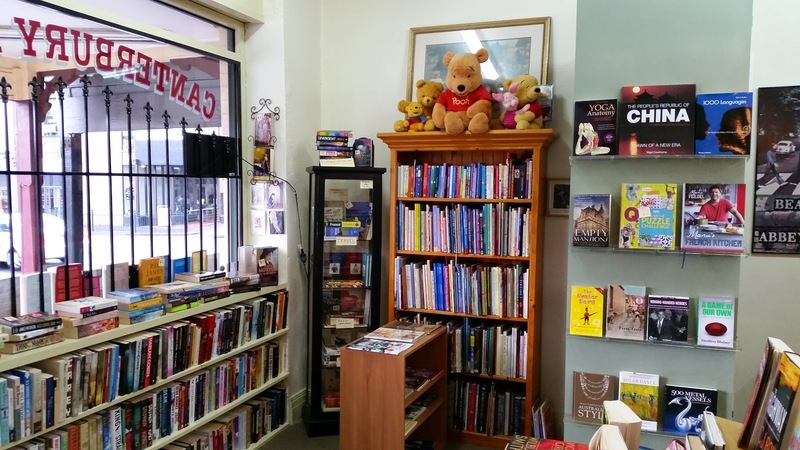 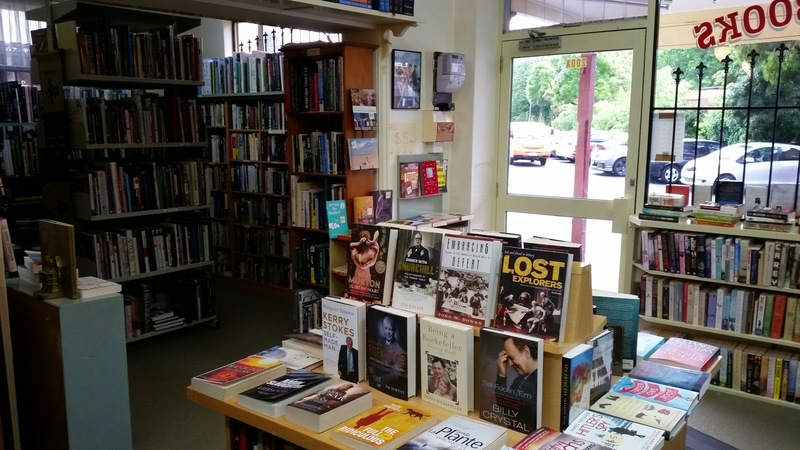 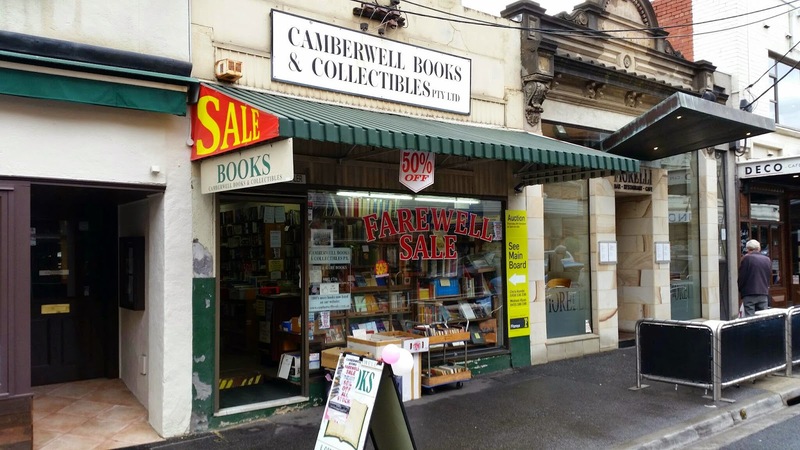 - Camberwell Books & Collectibles (second-hand) - This book store has stood opposite the Rivoli Theatre for 25 years but unfortunately retirement beckons for the owners and this store will soon close to become a cafe. That's a real shame as I've purchased a few Bond books from here over the years, but the owners seem to be happy to be finishing up. 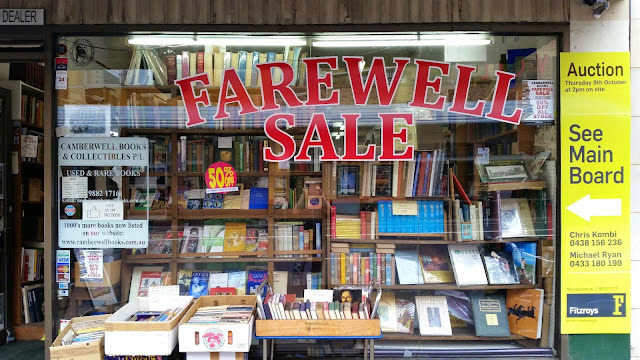 Meanwhile all books in this store are 50% off as part of their "Farewell Sale" so if you're after a bargain make sure to visit soon. 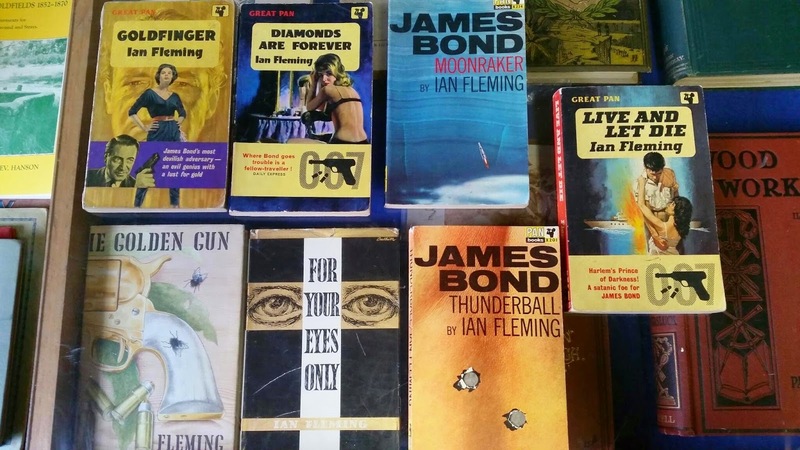 They also had the seven Bond books shown above. 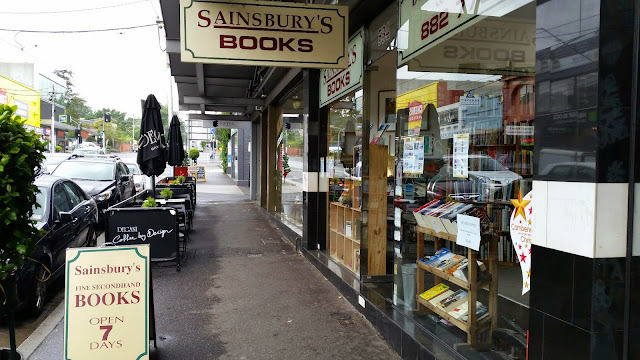 - Sainsbury's Books (second-hand) - The final store on Monday's book hunt was this one and I was glad to find it open and without indication of it closing down in the near future. 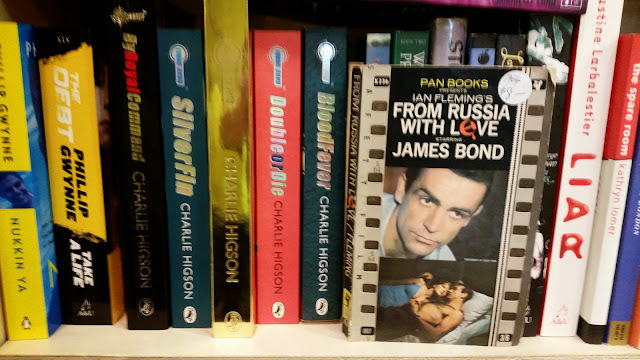 There were no Bonds today but I'll be sure to visit again soon. 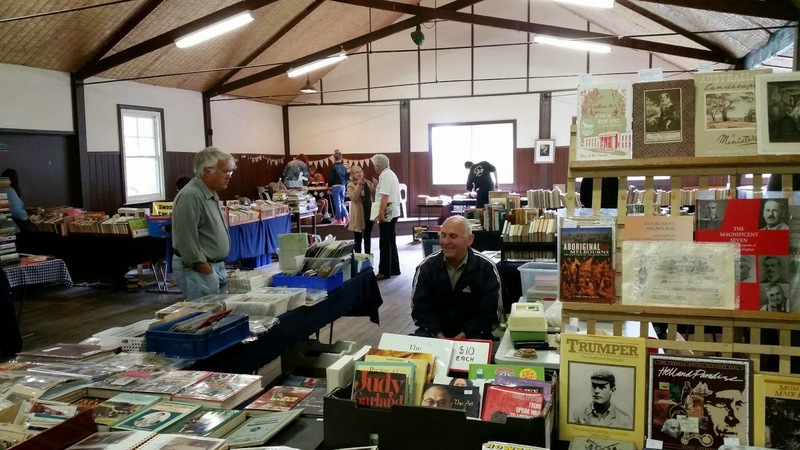 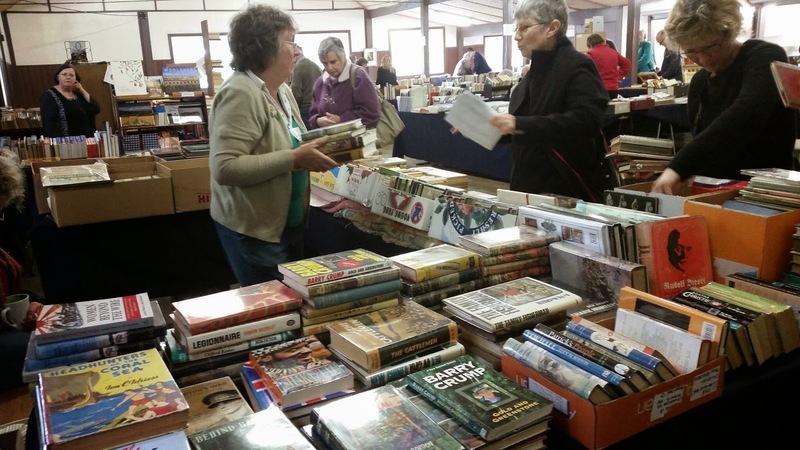 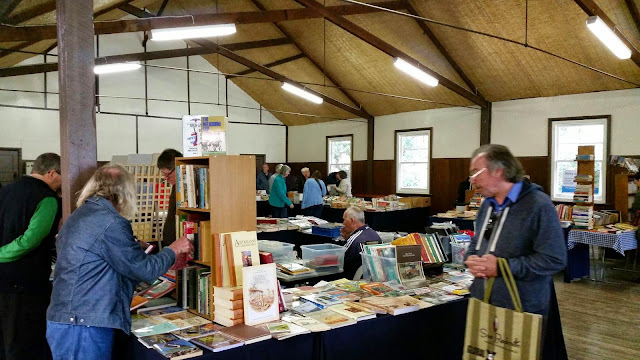 It's always well organised and with a wide range of books. 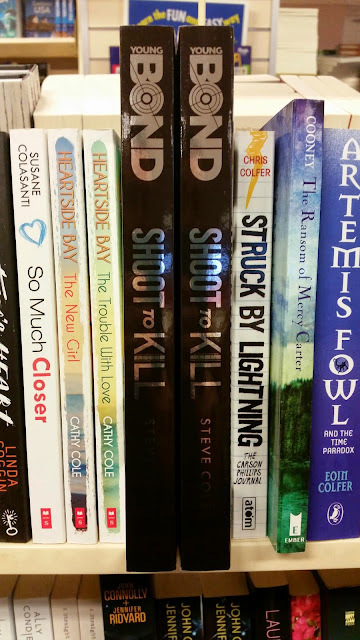 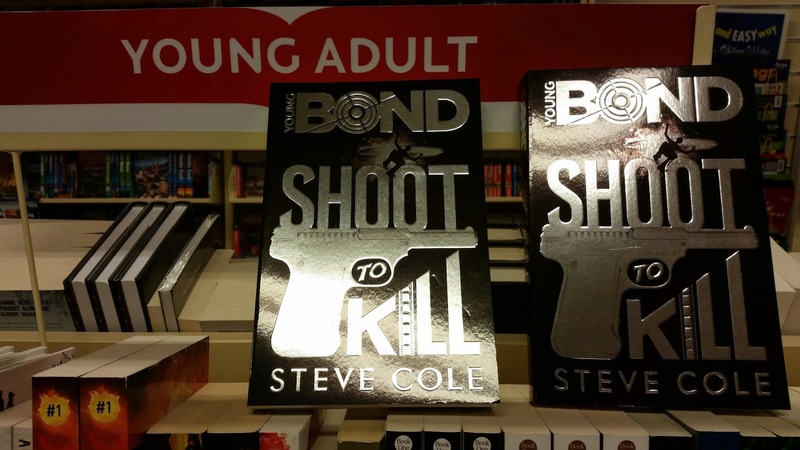 Steve Cole's new Young Bond novel "Shoot To Kill" is starting to appear on book shelves here in Oz. Released in the UK on November 6, I found these two copies tonight at a Dymocks store. 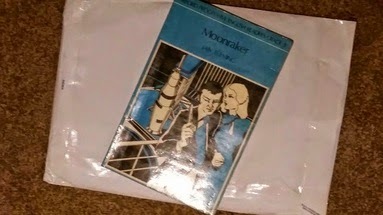 Two weeks ago I received an ESL (English Second Language) copy of "Moonraker" published by Oxford University Press. 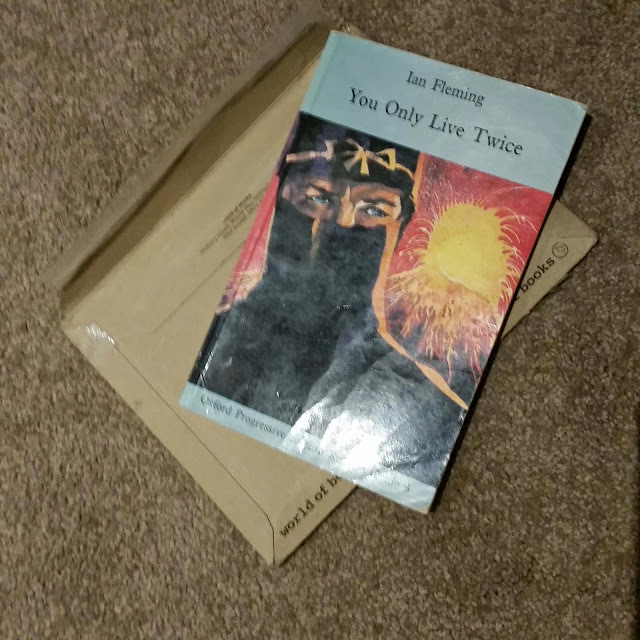 Today I received another ESL Bond book from the same publisher, a 1984 copy of "You Only Live Twice". 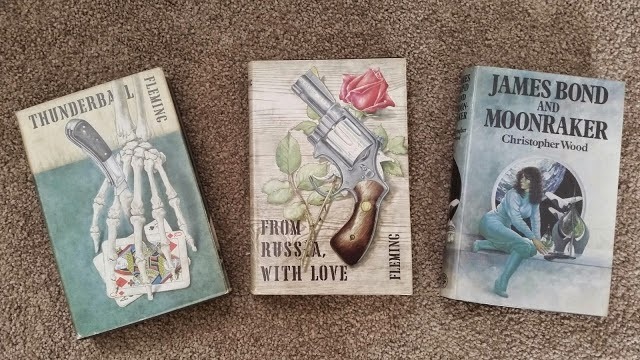 I've been looking for this book for a while now so when a friend and fellow book collector Tim at the Pan Paperback Collectors Website said he had a spare copy and could send it to me for free I was rapt. 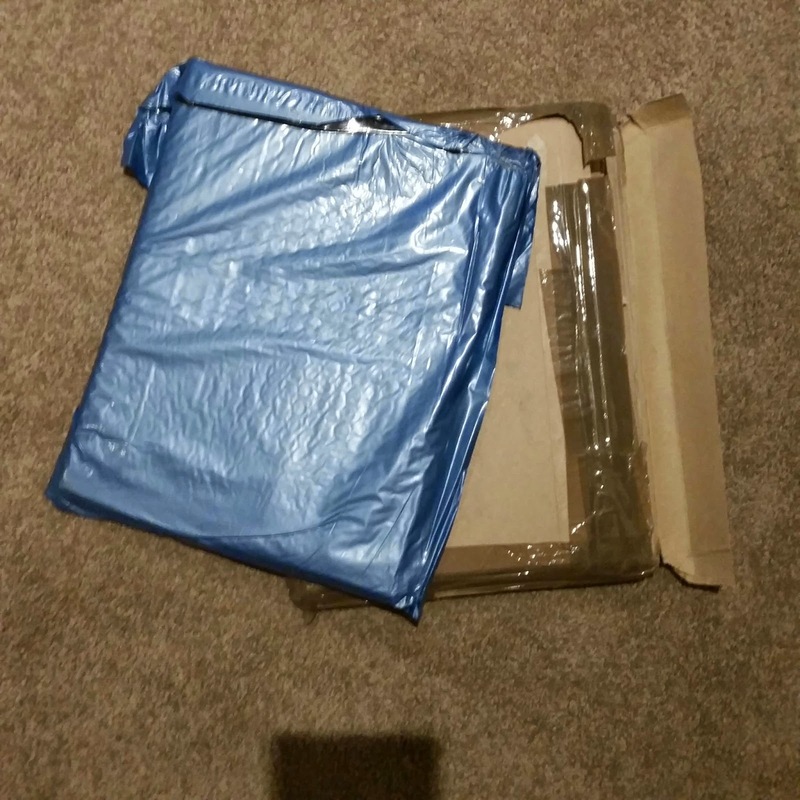 Thanks heaps Tim. I hope I can find you a good Pan book in return. Back in June this year I was informed by another Bond book collector of a promotional version of "Goldfinger" published by Vintage Books. 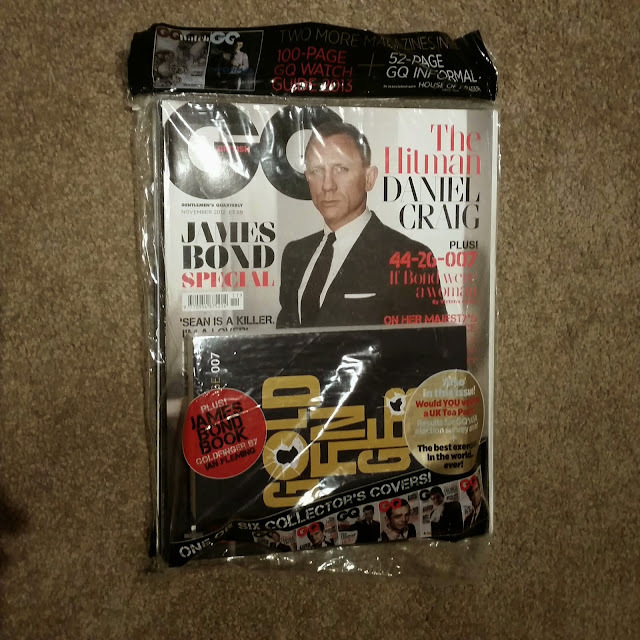 The book was included free with the November 2012 issue of GQ Magazine that featured Daniel Craig on the cover. 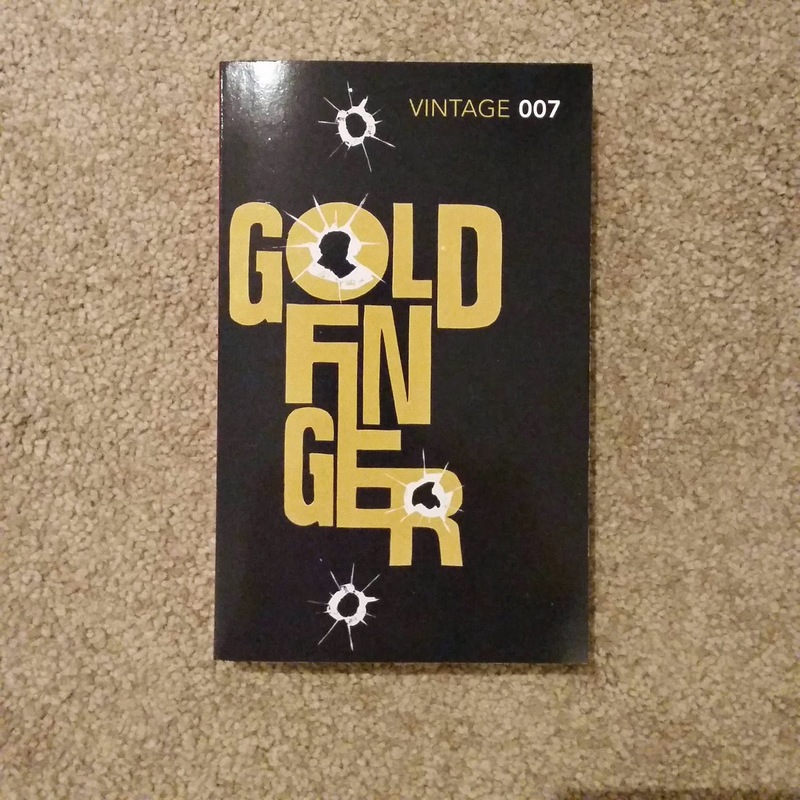 Unaware this edition even existed I was fortunate to quickly hunt down a copy. A friend of mine in the UK sent the book via air-mail and the magazine via sea-mail. 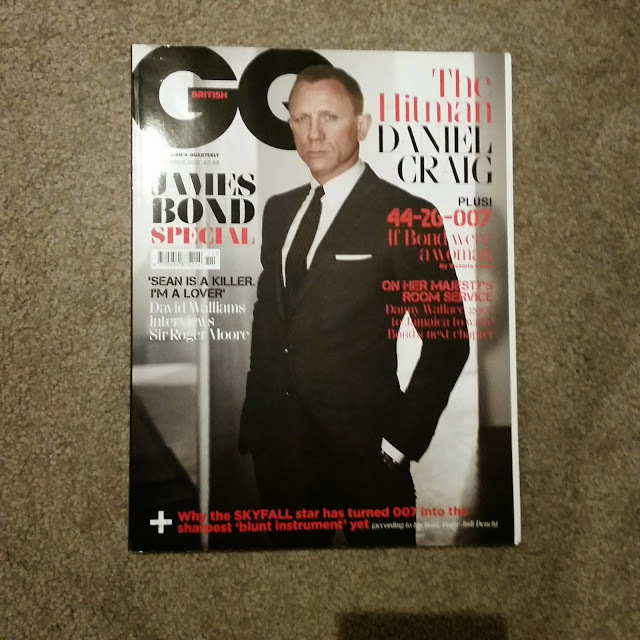 The book arrived just a few weeks later but the magazine was a different story. Posted in July the magazine arrived in Australia late last week (mid-November). 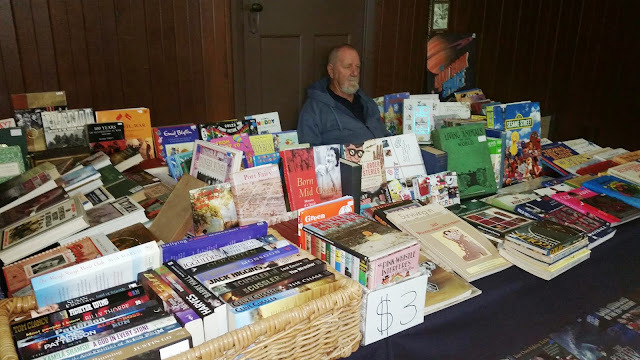 My parents were "10 Pound Poms" and my Dad was sea-sick the entire voyage from England to Australia, but I'm sure he was glad his journey didn't take that long. 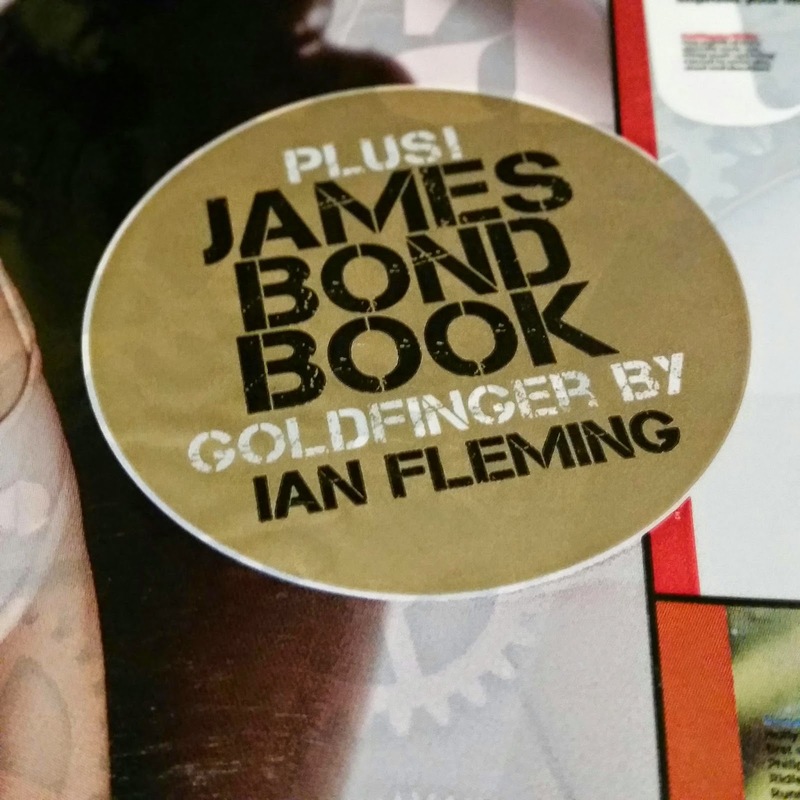 I received an ESL (English Second Language) book in the mail today, a copy of Ian Fleming's "Moonraker" published by Oxford University Press. 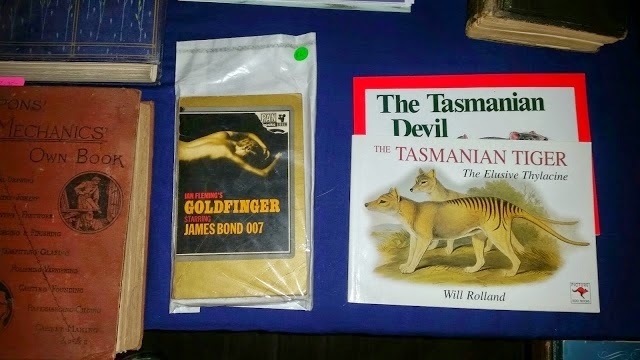 This book was published in 1978 and until recently I didn't even know this cover existed. 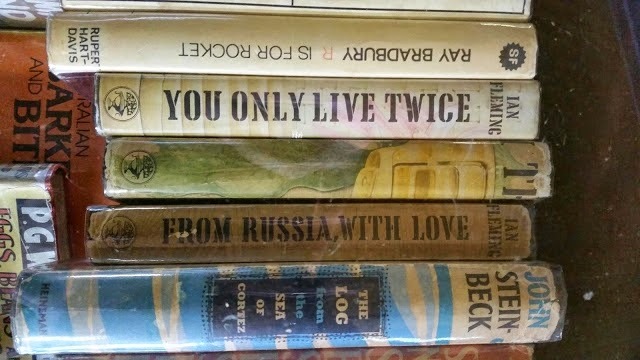 I already have a copy of "You Only Live Twice" in this series but there are others I don't. 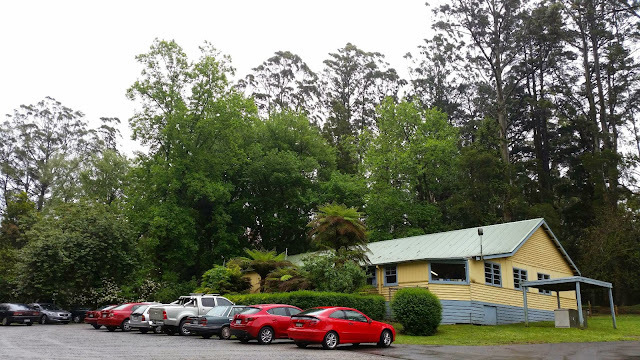 Early on a cold and wet Saturday morning last weekend my wife and I drove to the Dandenongs. 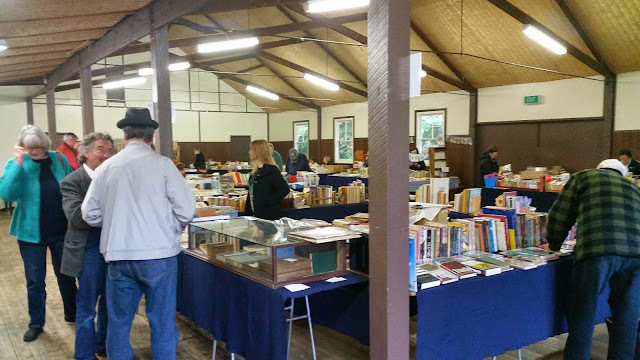 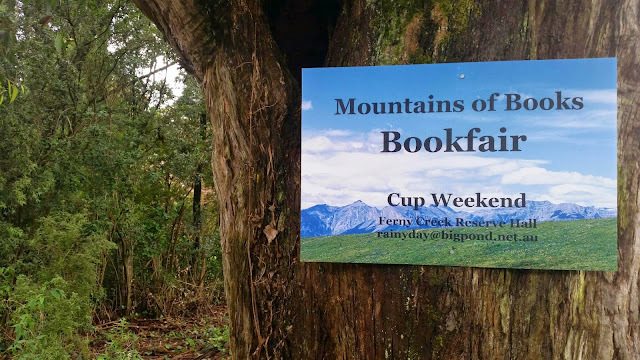 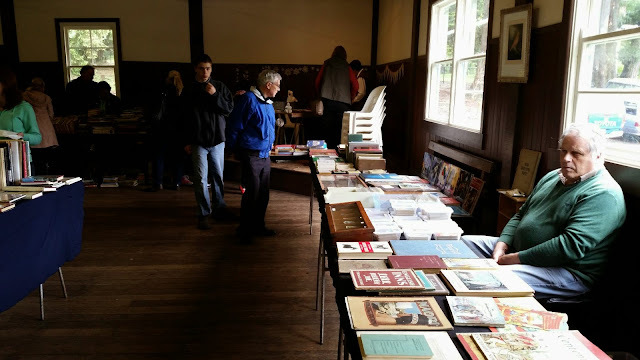 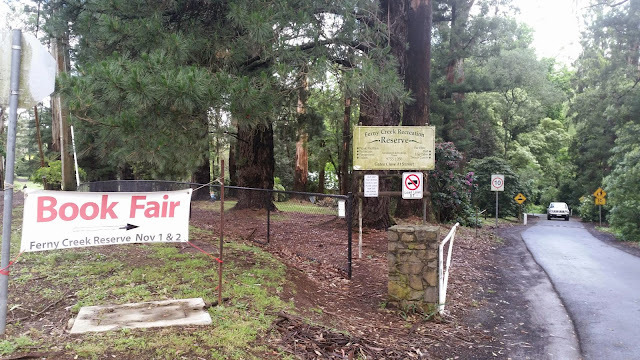 Our destination was the Mountains Of Books Bookfair in Ferny Creek. 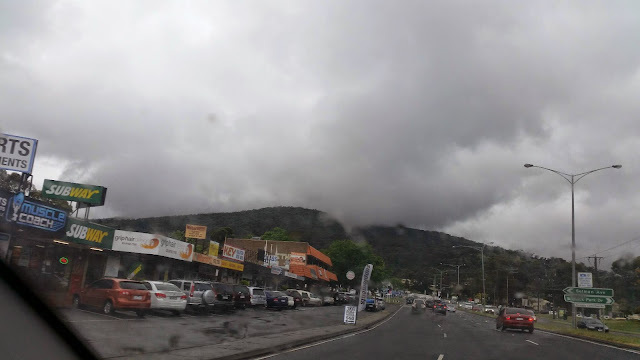 The rain kept falling sporadically for the entire 40 minute journey and as we got close we noticed how low the clouds were over the mountains. 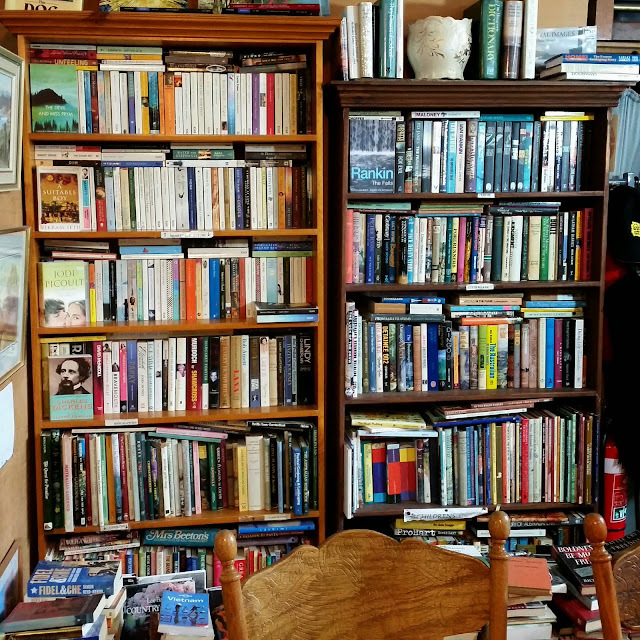 My wife snapped this picture. We managed to follow the clearly marked roads to the Recreational Hall where we quickly parked and ran through the light drizzle to the door. 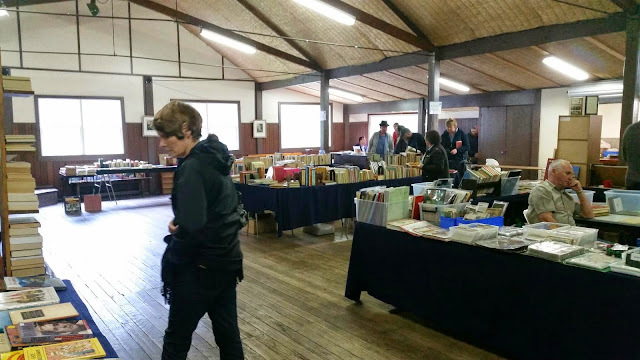 Almost immediately we entered the hall we met one of the bookfair organisers, Meryll, owner of Rainy Day Books in The Basin. 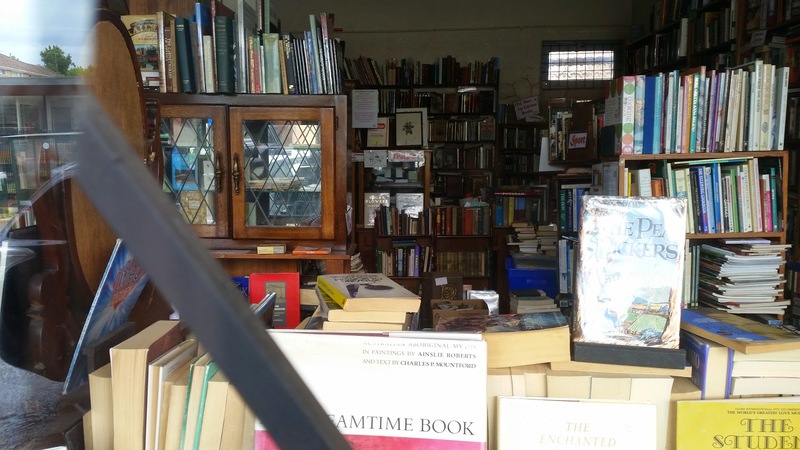 She recognised me and I introduced my wife. We discussed how the book fair was going considering it was only the first hour. 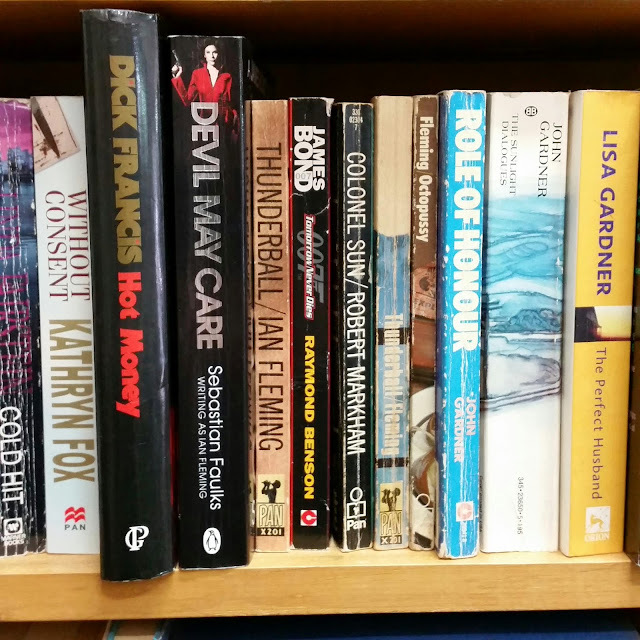 She also let me know some book stall holders had deliberately brought along some Bond books. 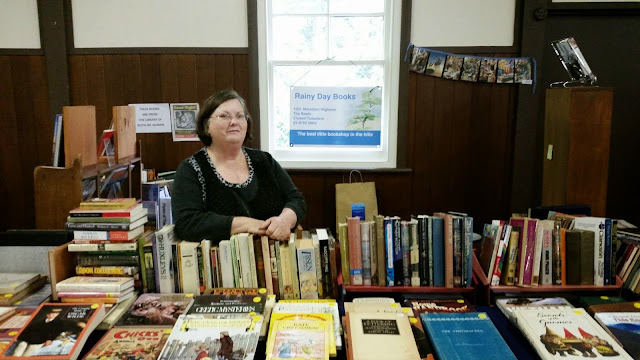 Here's a photo of Meryll in front of her own book stall. Finding this box of goodies was certainly the greatest surprise of the morning. 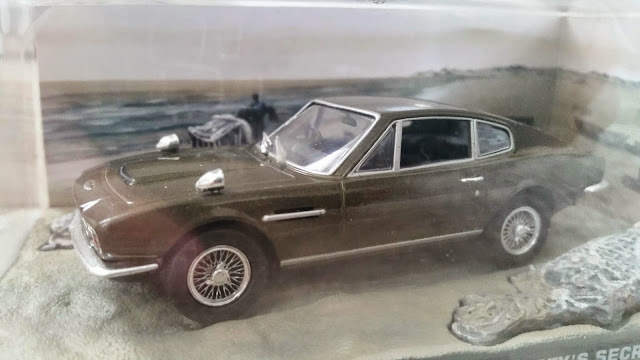 I purchased three of these. 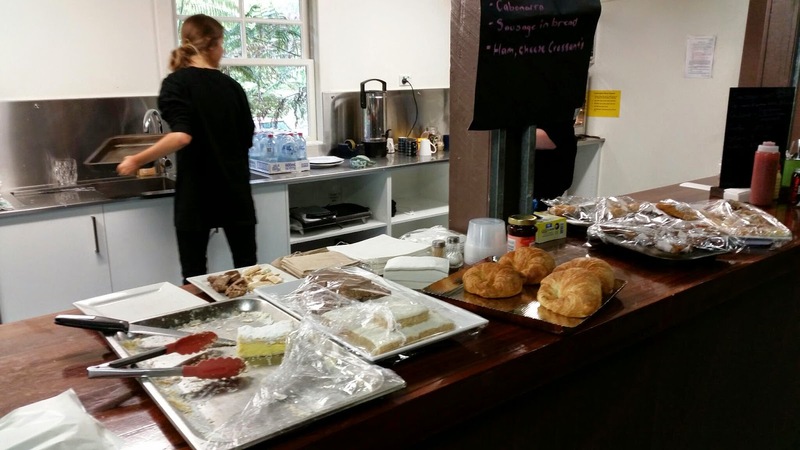 There was also a food area selling hot food and cakes. 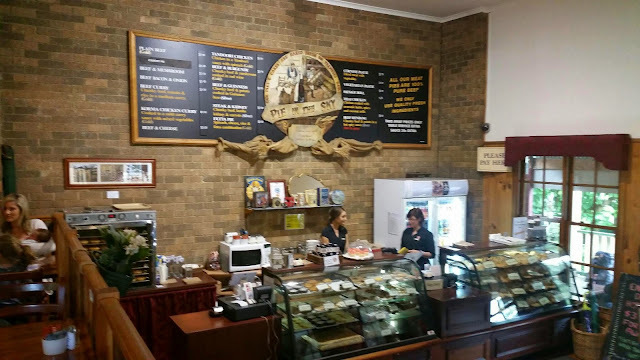 I purchased a massive vanilla slice which tasted great. After checking every stall in case I'd missed any Bonds we left and drove 10 minutes to Olinda where we had an early lunch at Pie In The Sky. 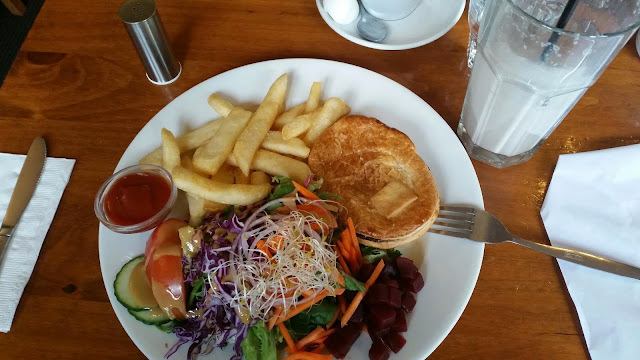 I definitely recommend the award winning pies here. And the Bond items I purchased. 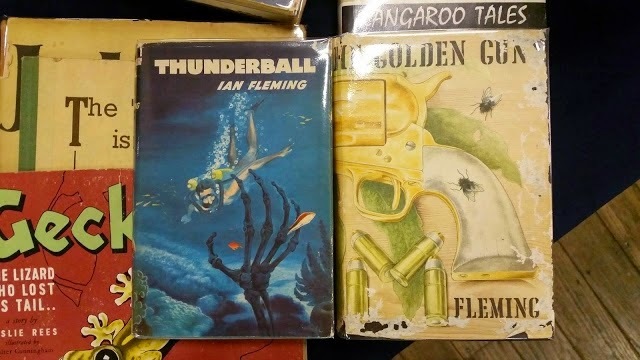 A first edition of "Thunderball", a later copy of "From Russia With Love" and a first edition of "James Bond and Moonraker". 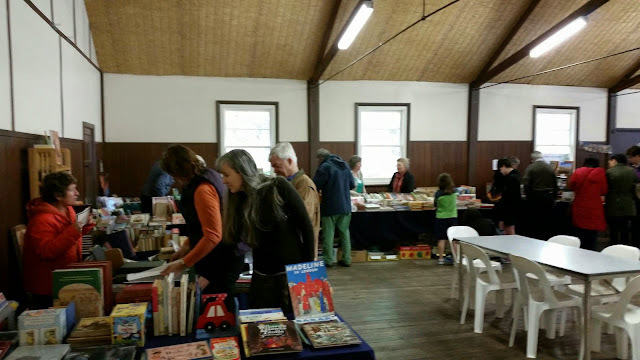 A successful morning if I say so and a great bookfair. 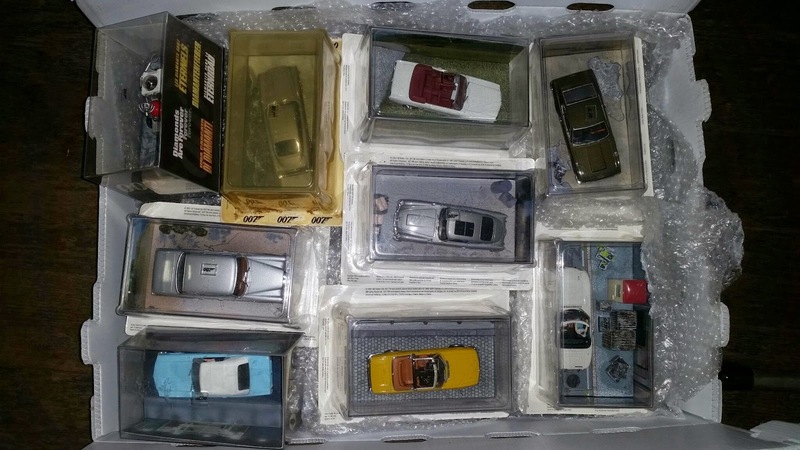 ... which when seen in close-up almost looks like a scene from the film (if you squint enough). 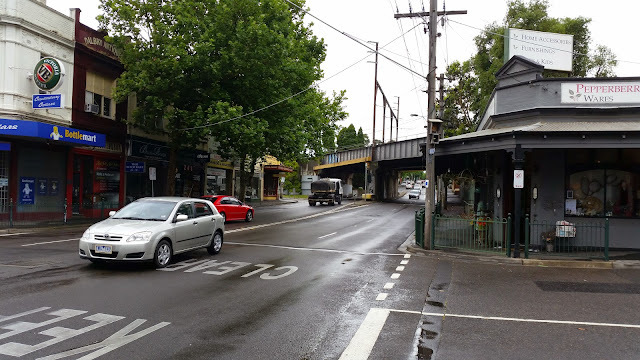 Perhaps it would look more realistic if I wasn't using a phone camera ! 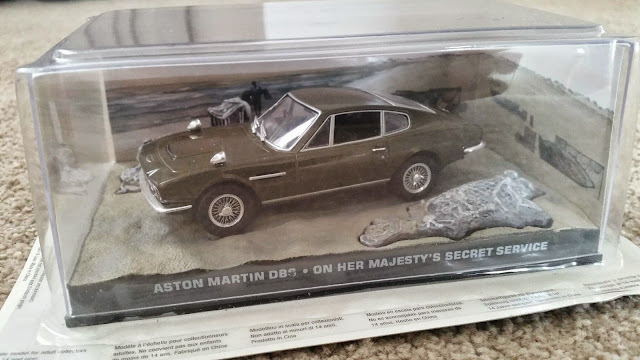 The Astor 007 Festival - Tonight "OHMSS"